SHANGHAI, Sept. 5, 2018 /PRNewswire/ -- Medtec China 2018 is being held on 26-28th September 2018 in Shanghai. The scale of the show has increased by 25% compared with 2017, which represents the largest event ever. 400 high quality brands including design and manufacturing, raw materials, precision components, processing technologies, and regulatory consultant services are going to be showcased on site, among which 100 exhibitors are debuting. 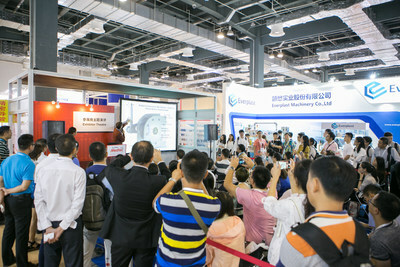 This year Medtec China expects to receive more than 20,000 visits. Visitors can make the most of the following six highlights at the show. Medtec China 2018 has 13 exhibition zones to optimize the visiting experience, which including Materials & Adhesives; Materials, Components and Process; Medical Manufacturing Automation; Medical Components; Packaging, Sterilization, Labelling; Ultra-Precision Machining; and Regulation. 3M, Zeus, DSM, Teleflex, Clariant, Dupont, Trelleborg, Lubrizol Corporation, Micron are once again going to join Medtec China 2018; another 100 exhibitors such as WuXi AppTec, TP Concept Sdn Bhd, Industrial Physics, MTS China, and Junkosha Inc will mark their debuts at the show. Click to discover 2018 exhibitor list. This year 11 companies are exhibiting at the German pavilion at Medtec China, while the Singapore welcomes eight exhibitors. This presence will augment the overall exhibition and showcase technologies and services for Medtec China visitors. These exhibitors are going to show specialty cables, automation and device manufacturing solutions, sealing detection equipment, plastic welding technology, dialyzer assembling equipment, software encryption and management services, non-standard precision components and surface treatment. Exhibitors in REGULATORY STREET provide comprehensive regulatory consultant services including accessing markets in North America, Europe, Japan and Canada. Dr. Knoell Consult GmbH, WuXi AppTec, NAMSA and Shanghai Huaxia Investment Management will exhibit. A "Regulation Lecture" will take place in this zone. "Regulation, Quality and Technology" are three focus points of the conference theme as per usual. Keynote speakers from SHFDA, FDA and China Chamber Of Commerce Of Medicines & Health Products Importers & Exporters, Shanghai Pudong Medical Device Trade Association and Johnson & Johnson have been invited to deliver speeches about how to improve quality through unannounced inspections, the content and requirements of databases in UDI, supervision of post-marketing medical devices after changes of regulation, the interpretation and implementation of the medical device registration system, US & EU regulatory updates and key market accessing, MDSAP updates and FDA inspection, and concepts and ways of medical device design. Click here to discover the 2018 full conference agenda. 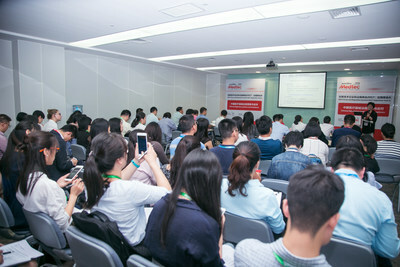 Medtec China also has many qualified free conferences and activities to enrich the visiting experience for our visitors. Four free technology conferences will focus on Next-Gen Design & New Technology, Pack&Ster, Plastic Innovation, and Dressing Materials and Technology. The Tech Theater is one of the most popular activities on site, which always attracts plenty of visitors. Further, Medtec China is going to have three tracks consisting of materials, components & processing, medical automation, and German technology.